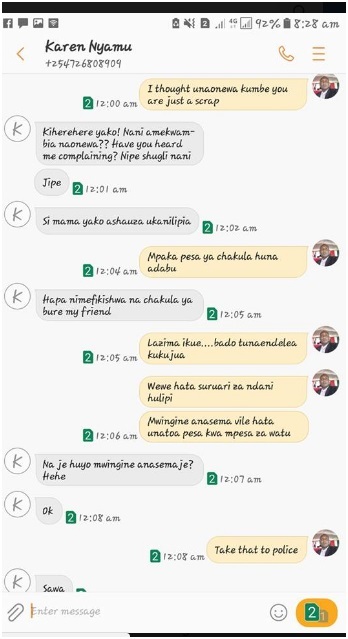 Home / Entertainment News / Silipi na hakuna mahali utanipeleka - Screenshot texts of Jubilee’s KAREN NYAMU refusing to pay someone after her job was done. 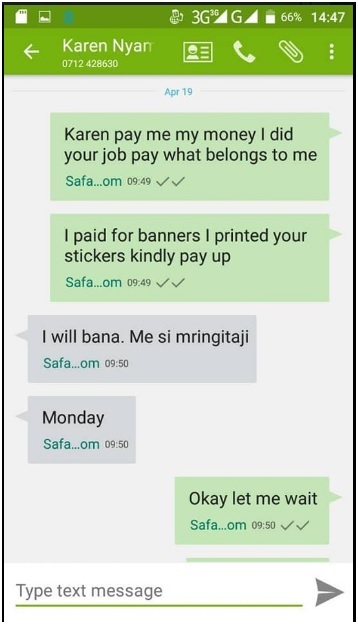 Silipi na hakuna mahali utanipeleka - Screenshot texts of Jubilee’s KAREN NYAMU refusing to pay someone after her job was done. 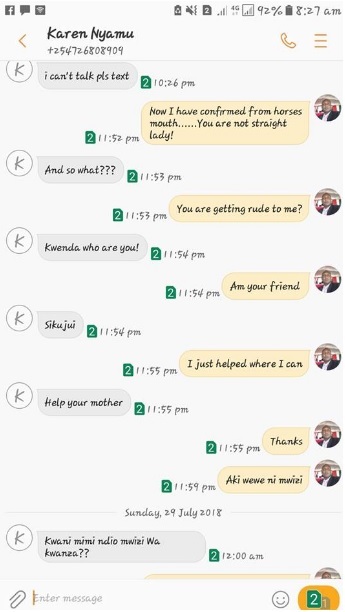 Sunday, July 29, 2018 - Former Nairobi Women Rep contestant, Karen Nyamu, has been exposed as a con and a fraudster who has no heart. 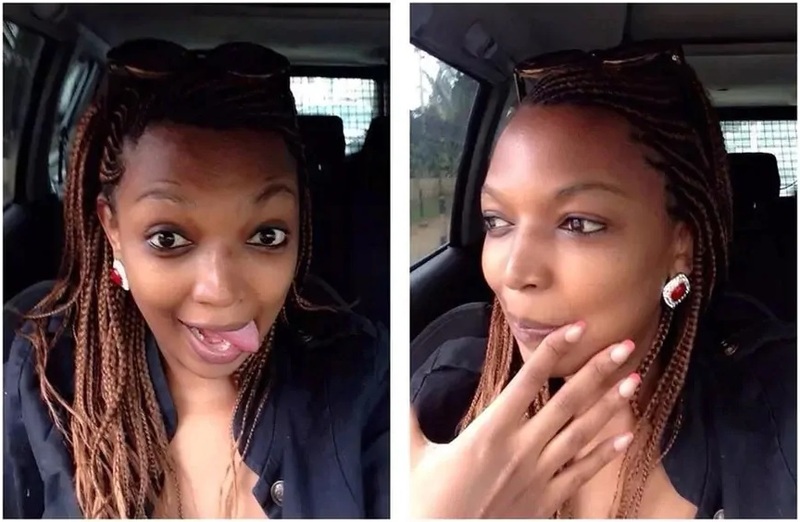 The vocal Jubilee politician who was a side-dish of the late Jacob Juma, has a habit of refusing to settle debts . 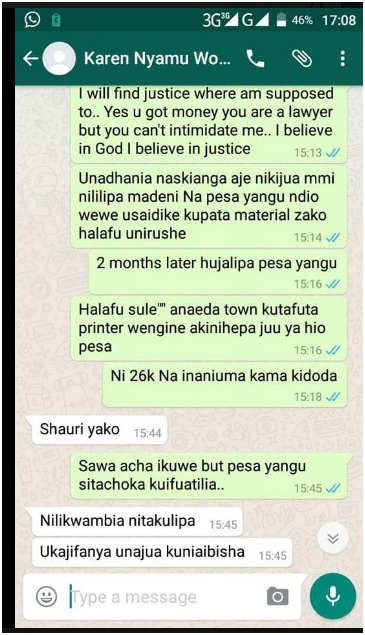 When Karen Nyamu is humbly requested to settle the debts by those she owes money, she starts being arrogant and then issues threats, bragging how she is untouchable. 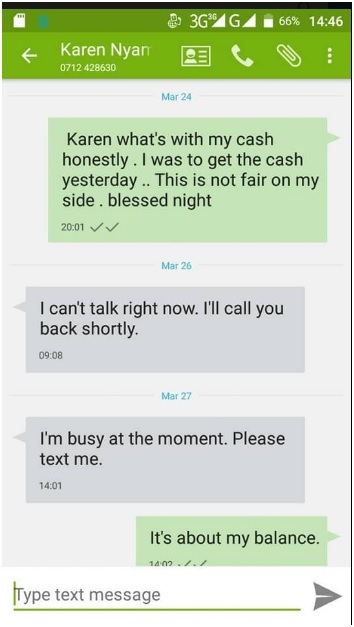 Check out these screenshots of texts from Karen refusing to pay someone his dues after her work was done. 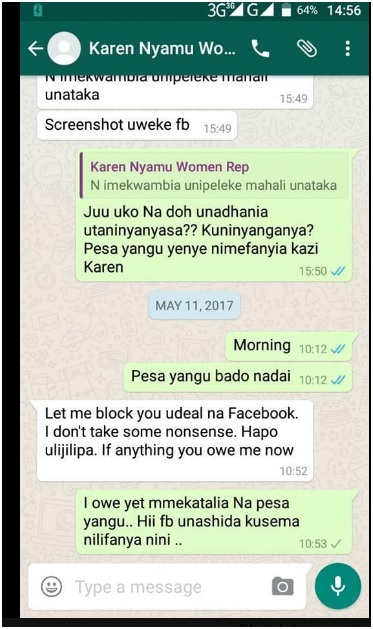 This guy tried confront the youthful Jubilee politician and told her to stop conning people and this is the response he got from Karen Nyamu. This woman is so arrogant.